You rent out your property either as a tax efficient private investment or to generate income. The rental periods are either short term (< 3 months) or long term. You don't think you need personal insurance - well this is where you are wrong ! 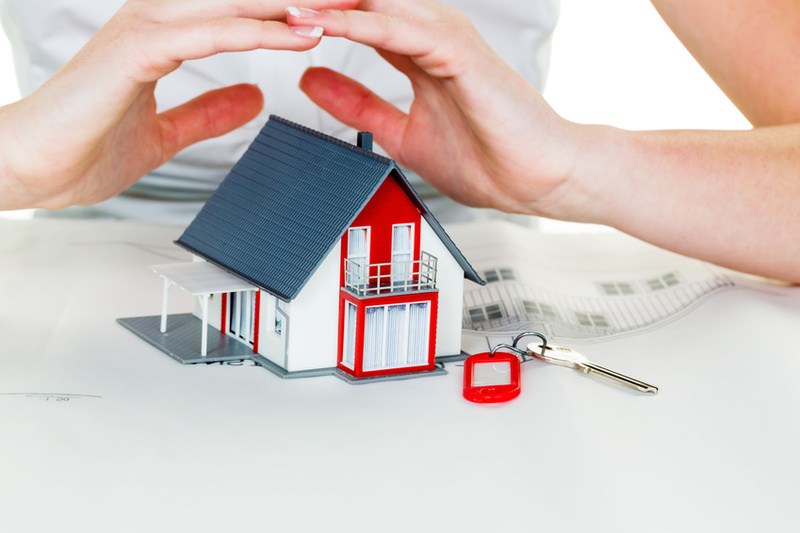 - If the property is not insured correctly you run the risk of losing your capital investment. The insurance premiums are deductible from your property income or BIC (bénéfices industriels et commerciaux- industrial and commercial profits) for income tax purposes (line 223 in French Tax Form 2044). Cover is available only for property or properties (limited to 5 main living areas) located in Metropolitan France. The property or properties must be available for rental or already rented. During the last 24 months, the property or properties must not have been the subject of an insurance claim and not had an insurance contract cancelled by a previous insurer. An additional cost ? Can I deduct my insurance premium from my income tax ? Cabinet ALBINET : The insurance premiums are deductible from your property income or BIC (bénéfices industriels et commerciaux- industrial and commercial profits) for income tax purposes (line 223 in French Tax Form 2044). I am the lessor of an apartment in a building with 4 apartments. Following a fire, my apartment was completely destroyed. I have learned that my co-owner's union did not keep up a multi-risk insurance policy for the building because two of the owners did not pay their part. Cabinet ALBINET : If you have not taken out a Non-Occupant Owner insurance policy, you have lost everything. A leak in the building's waste water pipes has damaged the wall and floor of the living room of the apartment I rent out. The building's multi-risk residence insurance will pay for damage of up to € 5 000. The cost of repairs is € 7 500. Do I have to pay the difference (€ 2 500) as well as the deductible of € 500 ? Cabinet ALBINET : If you have taken out non-occupant owner insurance, the company will assume responsibility for all of these costs and also the deductible. If you have not, you will have to pay for these costs. If my property is damaged in a fire and I no longer receive my rents, will I be compensated ? Cabinet ALBINET : In our non-occupant owner policy, you will benefit from rent loss coverage that will compensate for your rent for a maximum of two years (the amount to be determined via expert opinion). I am the lessor of an apartment. The shower-tray has caused water damage in the downstairs apartment. An expert has assessed the situation and shown outdated and non-compliant plumbing. Who will pay to repair the damage to the downstairs apartment and the damage to my bathroom ? Cabinet ALBINET : The owner is responsible because the plumbing is non-compliant. Neither the tenant's multi-risk home insurance nor the multi-risk building insurance can cover the damage. Only non-occupant owner insurance will provide coverage if the owner has taken out such a policy; if he has not, the owner must pay to repair the damage out of his own pocket. My tenants have just informed me that my apartment has been burgled. The shutters were torn off and the windows broken. Who pays for repairs to the windows and shutters, which the co-ownership agreement specifies are private property ? Cabinet ALBINET : Your tenants' multi-risk home insurance will not cover this damage. Their contract is only valid for the objects that were taken from them. You are responsible for repairing your windows and shutters. If you have non-occupant owner insurance, it will cover this; you will only have to pay the deductible. An attempted robbery has badly damaged the door of the apartment I rent out. It needs to be replaced because it cannot be repaired. Who will pay for the cost of replacing the door ? Cabinet ALBINET : The owner owes privacy and protection to his tenant; therefore he is obliged to replace this door. He will put in a claim with his co-owners building insurance but this will certainly give rise to legal action. Non-occupant owner insurance covers the cost of replacing this door. Isn't the building insurance enough ? Cabinet ALBINET : No, because contrary to a widespread belief, co-owners' insurance protects the building from building damage in private and common areas, as well as the responsibilities incumbent on co-ownership. Therefore, damage to the property and improvements of the co-owner are not covered, and moreover neither are his responsibilities as a non-occupying co-owner. When can I terminate my current contract and what are the steps that need to be taken ? Cabinet ALBINET : You can terminate your contract two months before its anniversary date, or within 20 days of sending your notice of expiration. There are no steps to take because we take all the necessary action as your replacement underwriter. When should I insure myself as a non-occupant owner ? Cabinet ALBINET : When you are the owner of a property put out in standard rental, or in case of tenancy at will, you would be acting in your very best interest to ensure your responsibilities as a non-occupant co-owner. This contract also aims to protect your property. Since May 2014, you have to be insured. What are the main covers ? Cabinet ALBINET : Comprehensive coverage of common types of damage: fire, water damage, theft, natural catastrophe, attack, storm, broken glass, defence and legal action, etc. Am I required to insure myself as a non-occupant owner ? Cabinet ALBINET : Since march 2014, you are obliged to be insured, whether you are a non occupying or occupying owner. This additional insurance was already necessary in certain cases, because it made up for gaps in your co-owner's insurance (not always comprehensive) and your tenant's insurance (not always up to date, and sometimes non-existent if the property is empty). The cost of the premium is very low (a few dozen euros) and is a flat rate. These are the advantages, but you no longer have the choice as to whether or not to take out an insurance policy.